I hope you all had happy holidays and that Santa was good to you - preferably by filling your Christmas stocking with plenty of vintage goodies, if you're anything like me! I'm going to spend the next few days in Helsinki with Mycah, who is coming over from the US. Our plans include meeting friends, eating well, seeing films, vintage goodie hunting and, of course, sightseeing - which will surely be interesting to do in your own hometown! :P It is just a pity that many of my favorite spots are closed during the winter. 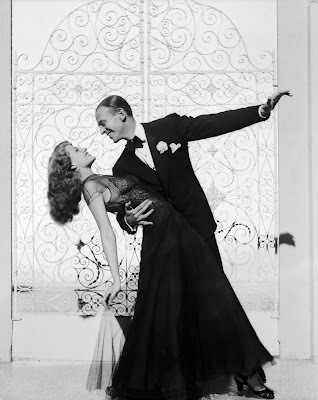 I'll leave you with this lovely number from the movie You Were Never Lovelier, featuring Rita Hayworth and Fred Astaire. It is one of my all time favorite musical comedies. Such a lovely picture and a warmly recommended watch! I'm very curious about what all of you will be wearing this holiday season. I don't think I've been this excited about the holidays in years - mainly because I lived abroad for many years, away from my family and friends. So I've taken my time planning and perfecting special outfits for the big dates. What I'm most giddy about is celebrating the end of the decade and beginning of a new one, which I will be doing with my dearest girlfriends at a burlesque party. One of my friends is coming over from the US to visit Finland for the first time, which is oh-so-exciting! I am going to be wearing 1950s vintage from head-to-toe on New Year's Eve. While I don't consider the '50s my top favorite era in general, I do feel the fashion is the most flattering for my curvy body type. 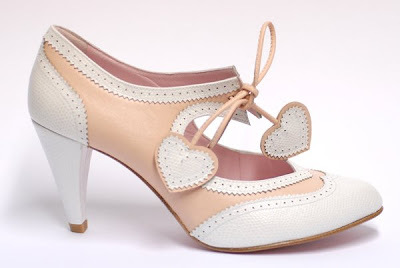 Just today I found the perfect pink heels on Etsy to compliment my lace dress, which I'm absolutely in love with! I think my look will be the embodiment of flirty and girly nostalgia and I can't wait to dress up soon and go out with my ladies! Find Clara and plenty more Bowriffic inspiration at Vintage Vivant. 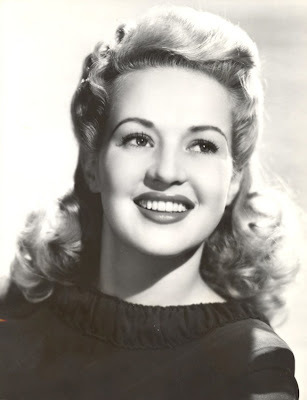 Today marks the 93rd birthday of Betty Grable, who was born December 18, 1916 in St. Louis, Missouri. She is one of my absolute favorite stars! I think that Betty truly is among the most beautiful classic stars, if not THE most beautiful of all. And I'm not just talking about the legs - she's got the whole package! Betty was beautiful inside and out; a triple threat, consummate professional and just a wonderful woman. It is such a treat to watch her onscreen. Even if all of her movies are not exactly masterpieces, she truly lights up the screen! My favorite Grable movie is Moon Over Miami. I think I'll go and pop in the DVD and raise my glass in honor of this everlasting star! I also want to give a birthday shout out to Miss Matilda and take this opportunity to say a big thank you for creating such beautiful gowns! They truly are among the very best on the market. I hope you have a good one, doll! 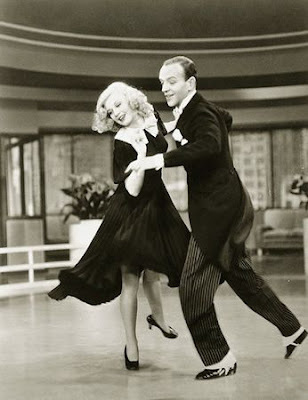 This wonderful Ginger Rogers / Fred Astaire number is from Swing Time (1936), one of the best Rogers/Astaire films. Ginger is wearing one of my dream day dresses in this clip. You can find more details about the beauty over at Clothes on Film. Now, sit back and enjoy this wonderful clip. It is guaranteed to bring to smile to your face! Looking back at these goals, I've actually improved on all of them. I have taken better care of myself by exercising more (mainly in the form of swimming), eating healthier and smaller proportions, cutting down on junk food and drinking more water. In result, I have managed to lose quite a bit of weight, which I am proud of. My goal wasn't to lose weight per se - but it was and still is to be healthy. Making more time for me is always a work in progress but this year I have cut down on internet and sites and spent more time reading, exercising, cooking and working on my hair and make-up, all of which to me equal valuable "me time". Lastly, I certainly have further educated myself about classic Hollywood by continuing the endless fun of catching up on old films and reading biographies. In fact, I wrote my university dissertation on neo-noir and did a lot of research by watching many classic noirs and reading about them. And how about my goals for 2010? What are your goals and resolutions for the New Year 2010? Bombshell is considered the definitive Jean Harlow biography - and rightfully so. It paints the picture of a warm and funny woman, who did not take herself seriously. Humble, kind and beloved by everyone - well, except for Joan Crawford - Hollywood found Harlow, not the other way around. Even though she wasn't exactly a great actress at first, literally by learning on film sets she became an outstanding comedienne. Harlow was passive in nature and controlled by her domineering mother. In the end, she was a sad woman who lost the will to live. Her battle with illness is heartbreaking to read. 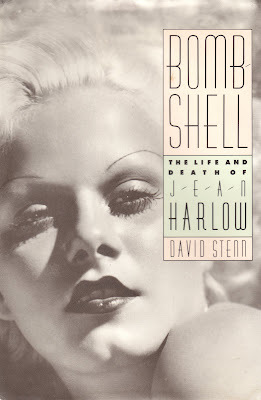 Stenn's book is a thorough and meticulously reseached account of the life, movies and death of Jean Harlow, as the title suggests. So meticulous, in fact, that there is 90+ pages detailing the interviews, archives, journals and books that the author consulted, along with detailed acknowledgements. I, quite frankly, have no interest in sensationalized and/or poorly researched biographies and this is the very opposite of such trash, which I knew to expect having read Stenn's excellent book on Clara Bow (also warmly recommended by me). Bombshell is respectful of Harlow's life, legacy and work as an actress. Even though Harlow went through several scandals and suffered a tragic fate in untimely death, Stenn does not attempt to sensationalize or twist it, which is important to me both as a reader and as a fan of the actress. Even though the book certainly is excellent, the image of Jean Harlow herself feels quite distant. 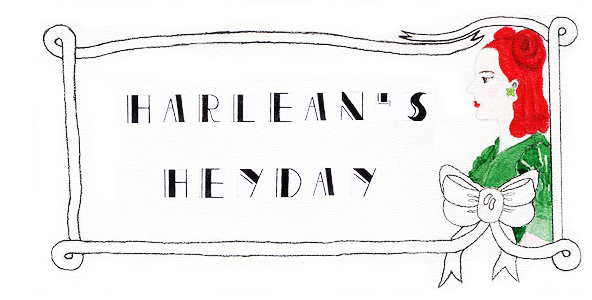 Perhaps it is because, as Stenn states, Harlean was a stranger to herself. In the end, I do prefer that the author doesn't pretend to know her innermost thoughts because in reality that would be impossible for a stranger writing about the actress' life nearly 60 years after her passing. The fact that Bombshell is a scholarly type of a Hollywood biography might put someone off but it is very approachable and certainly an engaging read. It also includes some photos, many of which are rare. If you are looking for a respectful and thorough biography of Jean Harlow, this book is for you. It is a must read for anyone interested in Harlow and classic Hollywood in general. 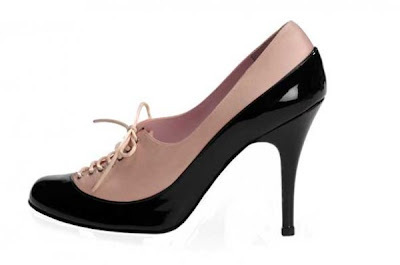 It is often hard for me to find contemporary shoes that make me go completely ga-ga. Vintage shoes, especially ones from 1940s, are a whole other story. 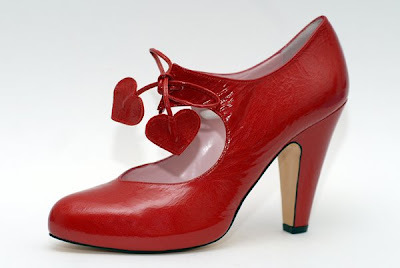 But the problem is that most early to mid 20th century shoes are small and narrow so it is rare to find that perfect fit. 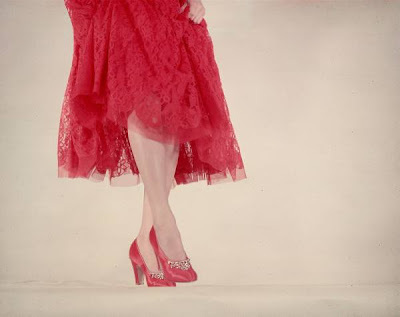 And even though the quality of the craftmanship was far superior compared to your average shoe today, I still wear my vintage shoes with caution, especially during winter. 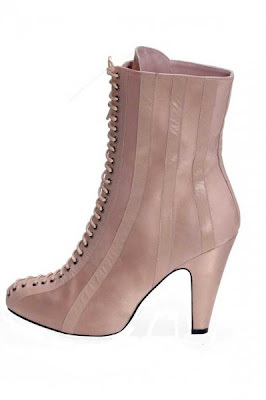 But there is one contemporary shoe designer that stands apart from the rest for me and that is Minna Parikka. She is, hands down, my favorite Finnish designer. 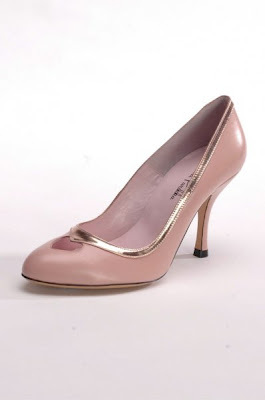 Her shoes are to die for; cute, elegant, feminine, fun, timeless. Here are just a few of my favorites from the newest Parikka collection. 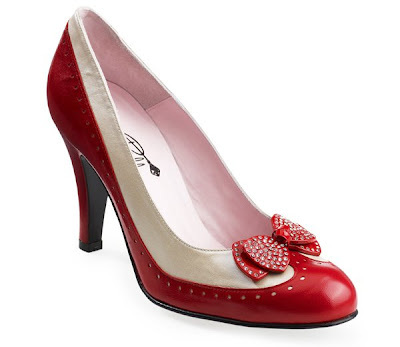 How oh how could I possibly resist shoes called 'Clara Bow'? And rightfully so! Inspired by a comment by FairyFiligree I thought I'd write a little about a woman I truly look up to; Ms. Gloria Swanson. I have always been uncomfortable with the idea of having an 'idol' but if I have one, it certainly is Swanson. Today she is best known as Norma Desmond, the larger-than-life character of Billy Wilder's Sunset Blvd. (1950). While Norma Desmond is one of my absolute favorite characters and Sunset Blvd. 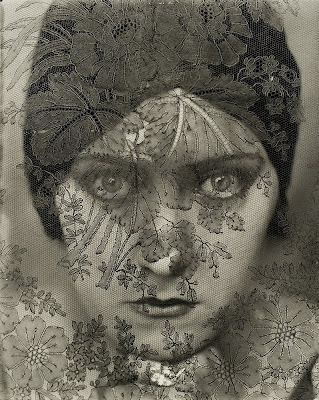 my favorite picture of all time, Gloria Swanson is so much more than Norma Desmond. 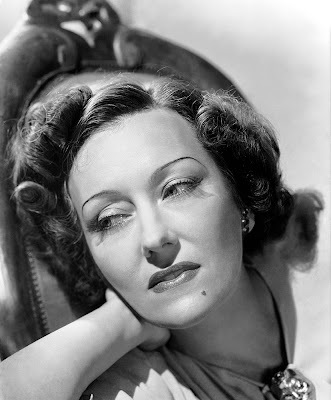 Gloria Swanson was born March 27, 1899 and passed away April 4, 1983, at the age of 84. She began acting as an extra back in 1914, and in 1919 she signed with Paramount Pictures, becoming the protegee of Cecil B. DeMille. In her early 20s Swanson became one of the world's greatest stars, along with Charlie Chaplin and Mary Pickford. Apart from her fascinating life, stunning talent and striking looks, one of the things that most interests me about Gloria Swanson is that she lived and worked through all of the great years of the Golden Age of Hollywood. Having started in 1914, she acted in silent films for over a decade before the coming of sound. While her career as an actress slowed down in the 1930s and the 1940s, she made the transition to talkies and still worked occasionally. 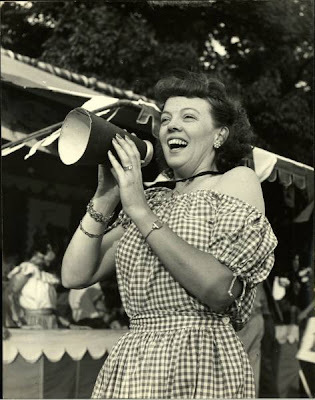 In the 1950s she was back at the height of her popularity and received her third Academy Award nomination for Wilder's film. Swanson continued acting in movies, stage and television until mid-1970s. There are not many an actress who have had such a long and successful career. 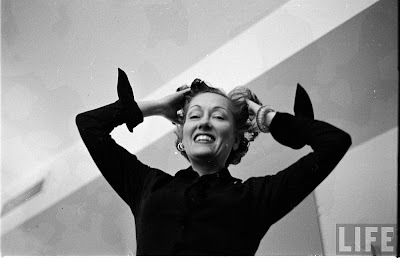 But Gloria Swanson was so much more than an actress. She was also a mother, a wife, a producer, an artist, an activist, an inventor, a fashion designer and an author of her auto-biography, Swanson on Swanson. And all this during a time when women were not exactly encouraged to be independent and proactive. I really am in awe of her. If I can accomplish even a third of what Glorious Gloria did during her lifetime, I will be a very satisfied woman indeed. If you have any interest whatsoever in classic Hollywood, Swanson's biography is truly a must read. While it is one of the biggest and thickest Hollywood biographies I've yet to encounter, it really is a fascinating read and impossible to put down. Her story is so fascinating and describes classic Hollywood in such a vivid way - it is almost as if you'd been there yourself. 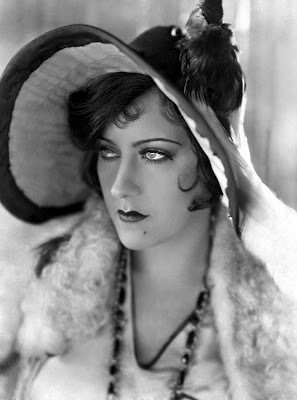 Gloria Swanson is a pioneer of cinema, an inspiration and a true icon. And that is why I admire her so. 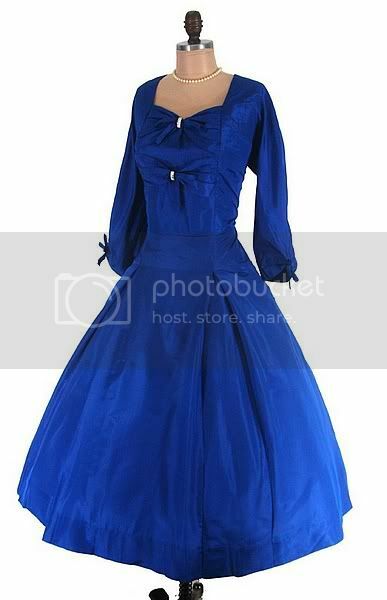 This breathtaking 1950s dress is up for grabs at CalendarGirlVintage for $305.00. This is a brand new blog dedicated to my love of classic cinema and its great stars, vintage fashion and all things pretty. I've been wanting a space where to document my growing vintage collection, drool over dresses, muse about my favorite classic actresses and review old films as I watch them. Basically, I needed a fun project for the long and cold Finnish winter - and what could be better than writing about the things that you're passionate about?